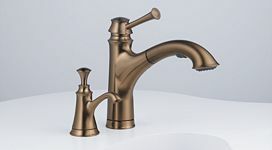 Will & Pierce Agency represents plumbing product manufacturers in Alabama, Mississippi, Louisiana and Northwest Florida. Our goal is to maintain market share leadership with each manufacturer we represent. Our sales team is comprised of seasoned professionals, who take pride in providing our customers a leading edge through proactive support. ​The Will & Pierce sales team works hard to develop in-depth knowledge of the products we represent. We ensure wholesalers have the tools they need to sell our brands with confidence. ​Will & Pierce builds relationships with engineers, architects, and designers throughout our territory. We also actively participate in home builders' associations. This allows us to remain current on design trends and regulations. ​Plumbers and contractors regularly reach out to Will & Pierce for accurate answers to technical questions they encounter while out on the job. The Will & Pierce staff has decades of combined knowledge and experience, and are able to quickly assist with technical and installation issues. ​​The experience of the Will & Pierce sales team enables us to assist our showroom consultants by regularly providing product education, and helping to ensure their showrooms are up-to-date with well-placed product.